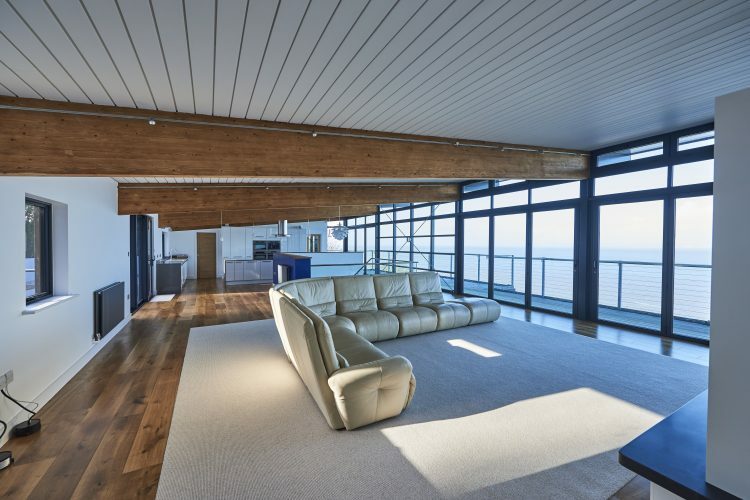 Based on the original concept of a boathouse, this North Somerset house received a full-width extension that mimicked the existing timber structure. The current entrance to the house is at ground floor level, with bedrooms on either side, a staircase in the middle leading to the kitchen, and a dining room at the first floor. At the back, the garden was accessed by the first floor due to the steep ground levels across the site, by a suspended external link bridge. 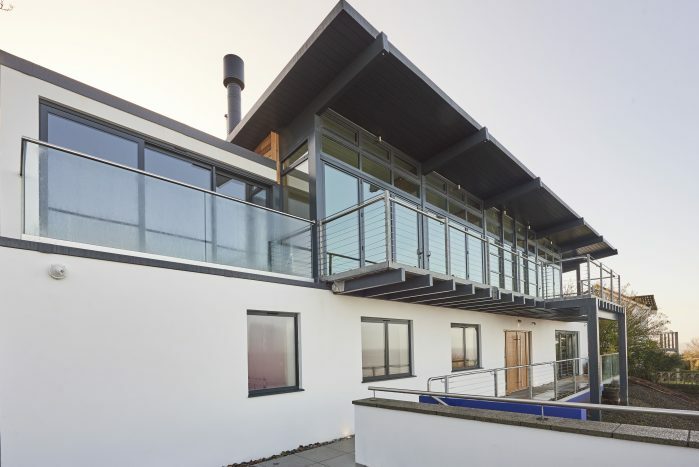 Each side of the property was enhanced with a two-storey extension to enlarge the first floor living room and to provide a new utility room to the kitchen. With glass panels and doors leading out onto a balcony, this is now perfect for entertaining, or just for watching the boats go by. 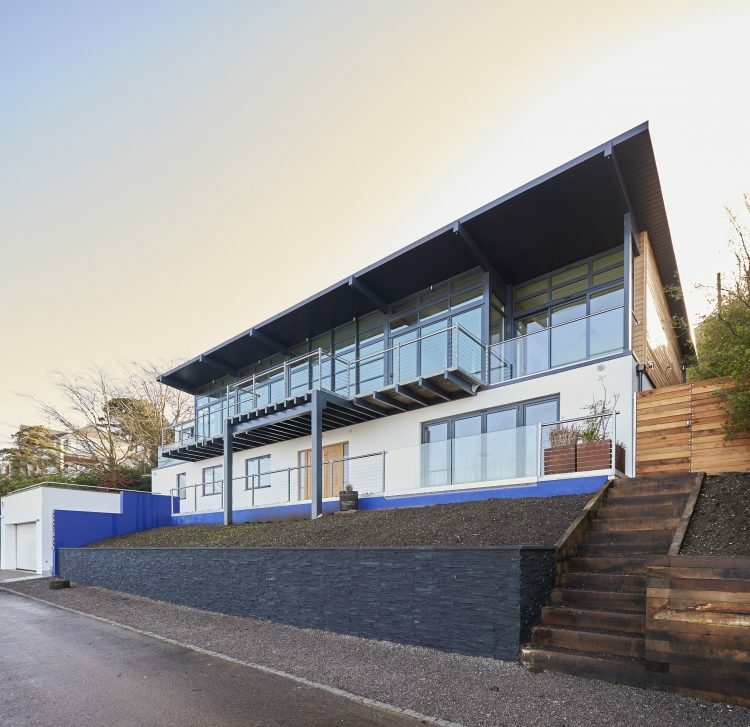 In addition, a single-storey extension to the rear was added, extending the bedrooms and adding a new cinema room at the lower level. 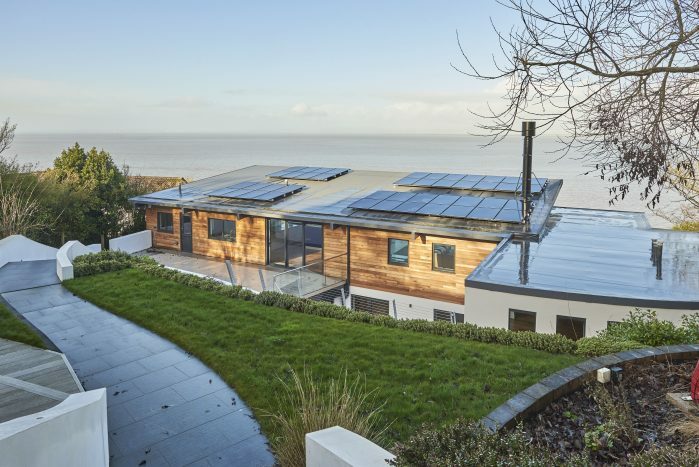 The rear extension was covered by a sedum roof. This became the main access to the garden for the first floor, connecting the front and rear of the house. RISE had to carefully consider the external drainage system so it can run from the rear garden to the front of the property, without flooding this amazing new house. Waterproofing of the retaining wall was also a critical design consideration, to ensure that water going through the concrete retaining wall is drained behind the finishes, away from the client’s view.